3. For the doctrine which he taught was this: that the kingdom of Christ will be an earthly one. And as he was himself devoted to the pleasures of the body and altogether sensual in his nature, he dreamed that that kingdom would consist in those things which he desired, namely, in the delights of the belly and of sexual passion; that is to say, in eating and drinking and marrying, and in festivals and sacrifices and the slaying of victims, under the guise of which he thought he could indulge his appetites with a better grace. 4. But I could not venture to reject the book, as many brethren hold it in high esteem. But I suppose that it is beyond my comprehension, and that there is a certain concealed and more wonderful meaning in every part. For if I do not understand I suspect that a deeper sense lies beneath the words. 5. I do not measure and judge them by my own reason, but leaving the more to faith I regard them as too high for me to grasp. And I do not reject what I cannot comprehend, but rather wonder because I do not understand it. 7. Therefore that he was called John, and that this book is the work of one John, I do not deny. And I agree also that it is the work of a holy and inspired man. But I cannot readily admit that he was the apostle, the son of Zebedee, the brother of James, by whom the Gospel of John and the Catholic Epistle were written. 8. For I judge from the character of both, and the forms of expression, and the entire execution of the book, that it is not his. For the evangelist nowhere gives his name, or proclaims himself, either in the Gospel or Epistle. 9. But John never speaks as if referring to himself, or as if referring to another person. But the author of the Apocalypse introduces himself at the very beginning: 'The Revelation of Jesus Christ, which he gave him to show unto his servants quickly; and he sent and signified it by his angel unto his servant John, who bore witness of the word of God and of his testimony, even of all things that he saw' (Revelation 1:1-2). 10. Then he writes also an epistle: 'John to the seven churches which are in Asia, grace be with you, and peace.' Revelation 1:4 But the evangelist did not prefix his name even to the Catholic Epistle; but without introduction he begins with the mystery of the divine revelation itself: 'That which was from the beginning, which we have heard, which we have seen with our eyes' (1 John 1:1). For because of such a revelation the Lord also blessed Peter, saying, 'Blessed are you, Simon Bar-Jonah, for flesh and blood has not revealed it unto you, but my heavenly Father' (Matthew 16:17). 12. But that he who wrote these things was called John must be believed, as he says it; but who he was does not appear. For he did not say, as often in the Gospel, that he was the beloved disciple of the Lord, or the one who lay on his breast, or the brother of James, or the eyewitness and hearer of the Lord. 13. For he would have spoken of these things if he had wished to show himself plainly. But he says none of them; but speaks of himself as our brother and companion, and a witness of Jesus, and blessed because he had seen and heard the revelations. 14. But I am of the opinion that there were many with the same name as the apostle John, who, on account of their love for him, and because they admired and emulated him, and desired to be loved by the Lord as he was, took to themselves the same surname, as many of the children of the faithful are called Paul or Peter. 16. But I think that he was some other one of those in Asia; as they say that there are two monuments in Ephesus, each bearing the name of John. 17. And from the ideas, and from the words and their arrangement, it may be reasonably conjectured that this one is different from that one. 18. For the Gospel and Epistle agree with each other and begin in the same manner. The one says, 'In the beginning was the Word' (John 1:1); the other, 'That which was from the beginning' (1 John 1:1). The one: 'And the Word was made flesh and dwelt among us, and we beheld his glory, the glory as of the only begotten of the Father' (John 1:14); the other says the same things slightly altered: 'Which we have heard, which we have seen with our eyes; which we have looked upon and our hands have handled of the Word of life—and the life was manifested' (1 John 1:1-2). 19. For he introduces these things at the beginning, maintaining them, as is evident from what follows, in opposition to those who said that the Lord had not come in the flesh. Wherefore also he carefully adds, 'And we have seen and bear witness, and declare unto you the eternal life which was with the Father and was manifested unto us. That which we have seen and heard declare we unto you also' (1 John 1:2-3). 20. He holds to this and does not digress from his subject, but discusses everything under the same heads and names some of which we will briefly mention. 21. Any one who examines carefully will find the phrases, 'the life,' 'the light,' 'turning from darkness,' frequently occurring in both; also continually, 'truth,' 'grace,' 'joy,' 'the flesh and blood of the Lord,' 'the judgment,' 'the forgiveness of sins,' 'the love of God toward us,' the 'commandment that we love one another,' that we should 'keep all the commandments'; the 'conviction of the world, of the Devil, of Anti-Christ,' the 'promise of the Holy Spirit,' the 'adoption of God,' the 'faith continually required of us,' 'the Father and the Son,' occur everywhere. In fact, it is plainly to be seen that one and the same character marks the Gospel and the Epistle throughout. 22. But the Apocalypse is different from these writings and foreign to them; not touching, nor in the least bordering upon them; almost, so to speak, without even a syllable in common with them. 23. 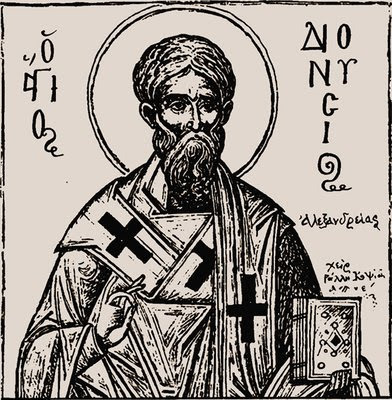 Nay more, the Epistle — for I pass by the Gospel — does not mention nor does it contain any intimation of the Apocalypse, nor does the Apocalypse of the Epistle. But Paul, in his epistles, gives some indication of his revelations, though he has not written them out by themselves. 24. Moreover, it can also be shown that the diction of the Gospel and Epistle differs from that of the Apocalypse. 25. For they were written not only without error as regards the Greek language, but also with elegance in their expression, in their reasonings, and in their entire structure. They are far indeed from betraying any barbarism or solecism, or any vulgarism whatever. For the writer had, as it seems, both the requisites of discourse—that is, the gift of knowledge and the gift of expression—as the Lord had bestowed them both upon him. 26. I do not deny that the other writer saw a revelation and received knowledge and prophecy. I perceive, however, that his dialect and language are not accurate Greek, but that he uses barbarous idioms, and, in some places, solecisms. 27. It is unnecessary to point these out here, for I would not have any one think that I have said these things in a spirit of ridicule, for I have said what I have only with the purpose of showing clearly the difference between the writings.